Oklahoma cities, citing safety and increased numbers of riders, create bike-friendly paths and designated lanes. You’ve probably seen them at the park, on your way to work, on a major highway, or a back road. Bicyclists are everywhere and, with the growing popularity of this mode of transportation, more safety measures are needed. The National Highway Traffic Safety Administration reported 818 cycling fatalities in 2015 (along with 5,376 pedestrian deaths) in the United States. Several Oklahoma cities have tried to provide safe travel routes for bike riders, walkers and runners. Darla Bennett, executive director of Muskogee County Transit, stresses the importance of bike-safe cities. Bennett says visibility and education are keys to keeping people safe. 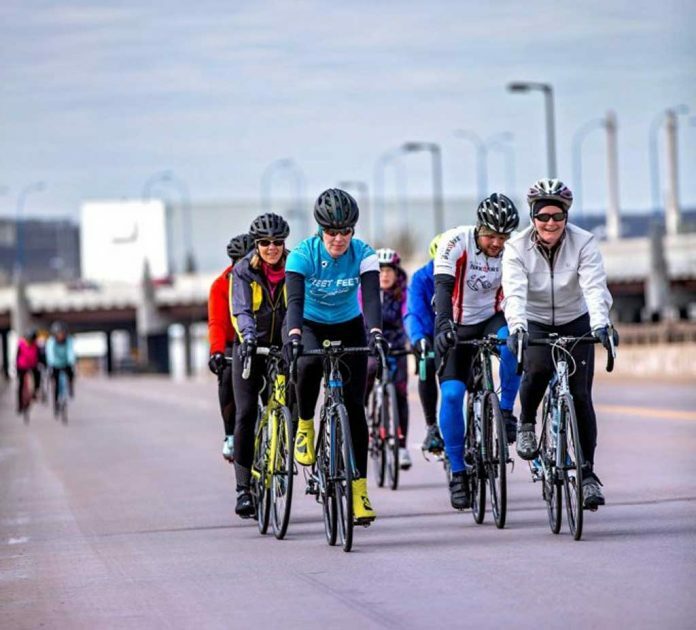 These include people wearing bright colors; using clearly marked paths, shared lanes and dedicated bike lanes; and organizing rides to increase visibility by sheer numbers. She also encourages cities to create safe spaces for riders and teaching the community about sharing the road. “People are being unnecessarily injured and killed,” Bennett says. “And I would venture that it is an alarming number of children, young adults, and again, those who are using a bike as transportation out of need. Muskogee has created dedicated bike lanes and connected some existing bikeways. A cycling club organizes regular group rides to promote awareness of cyclists. Oklahoma has slowly made its way to becoming a bikeable state. 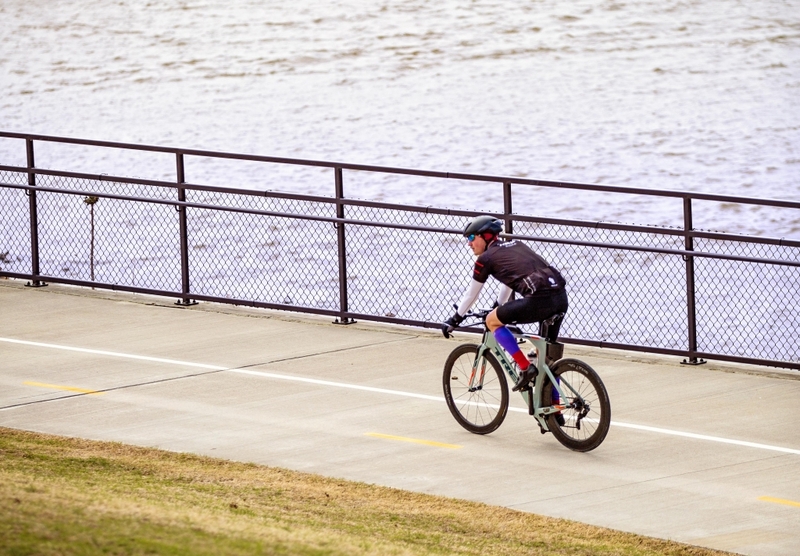 John Tankard, with the Oklahoma City Planning Department, says OKC has built more than 60 miles of multi-use trails since 1997 … with a master plan to make the city even more bike-friendly and safe. BikeWalkOKC, when adopted, will be the official map for bicycle and pedestrian improvements in the city. Tankard acknowledges an increase in bicycling downtown and a spike in community members advocating for improvements for bikes. However, the theory of “if you build it, they will ride” also exists. The U.S. Census reported that in New York and Washington, the first two U.S. cities to introduce modern protected cycling lanes, bike commuting doubled from 2008 to 2013. 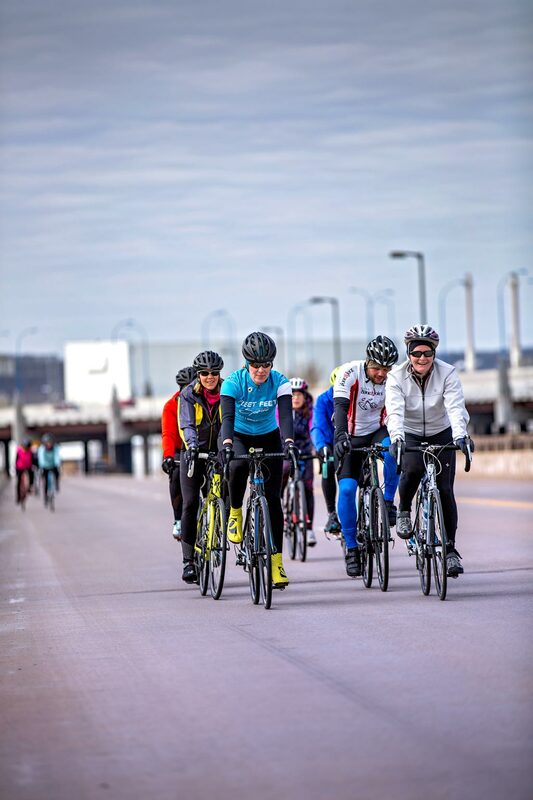 In 2015, Tulsa adopted a master plan for improved, safe cycling and pedestrian paths called the GO Plan. 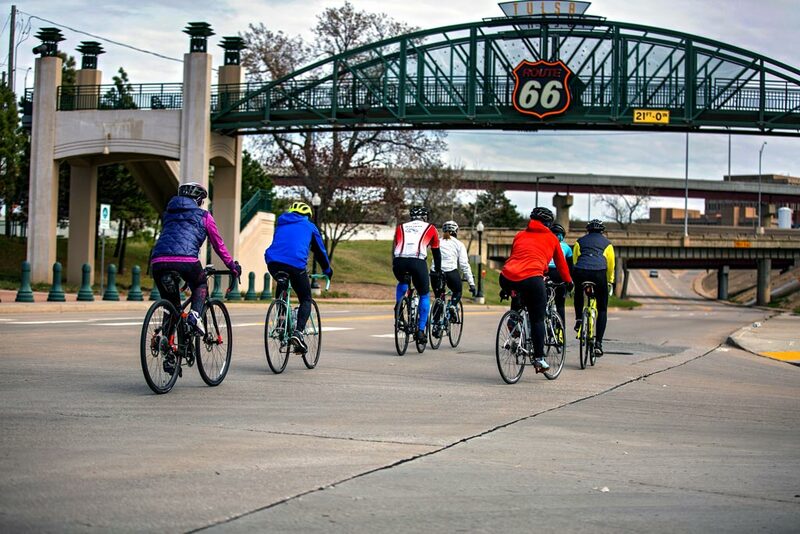 Tulsa, a bronze-level bicycle friendly community, continues to improve its status as a safe, friendly place to ride, says Michael Schooling, president of the Tulsa Bicycle Club. The Bicycle Advisory Committee of the Indian Nations Council of Governments has a list of goals that includes Tulsa becoming a silver-level by 2022. The League of American Bicyclists, a national organization for cycling advocacy, awards the bicycle-friendly status. However, Schooling says the state still has “Wild West” open spaces and long distances, which can make one reluctant to mount a two-wheeled “steed.” It also wasn’t made for cyclists. 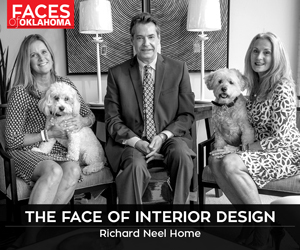 Many signs indicate that conditions for cyclists and pedestrians will continue to progress in Oklahoma, so Schooling encourages people to start riding.